Metal is one of the most durable roofing materials you can choose for your new roof installation. Aside from being durable, it’s also energy-efficient and can benefit you in ways you wouldn’t expect. Energy efficiency can be simply defined as using less energy to produce the same results. Metal roofs are capable of doing several things to your home at no extra cost, meaning you’ll get to save more money in the long run. Unlike other roofing materials that absorb the sun’s heat and transmits it into your home, metal roofing reflects solar heat away from your home, helping to keep your interiors cool even on a hot, sunny day. Unpainted metal roofs, as plain as they are, are more reflective than light-colored asphalt shingle roofs. The latter, despite being light-colored, still absorbs more heat than metal roofs. Pre-painted or granular metal roofing, on the other hand, have an added bonus. Aside from reflect solar energy away from your home, they also re-emit the heat they absorbed, helping to keep your home cooler during hot summer days. This helps you spend less on cooling expenses. 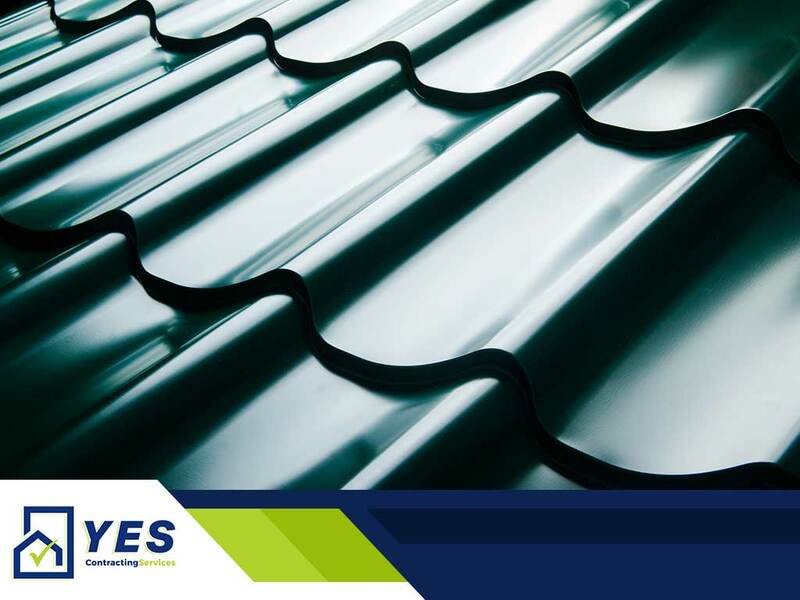 As mentioned, metal roofs reflect most of the sun’s heat away, preventing it from permeating into your home. Cool-metal roofing, on the other hand, does it better. Cool pigments in the metal roof’s coating allow it to reflect even more heat, helping to significantly lower roof temperatures. What you get is a cool roof that helps lower indoor temperatures in buildings without air conditioning. Metal roofs provide excellent insulation, helping keep cold air outside and warm air inside during winter. This helps lower your heating bills when it’s cold, even stormy, outside. If you’re interested in metal roofing and want it for your home, Y.E.S. Contracting Services is here to assist with your residential roof replacement. Give us a call at (423) 702-4000 and we’ll schedule a meeting for a free no-obligation quote. We serve homeowners in Kingsport, TN, and nearby areas.